Orlaith Grehan of Áiseanna Tacaíochta brings us on an inspirational journey, acknowledging pivotal moments in history and showing the crucial part that community plays in shaping our future. Martin Naughton and his team travelled to America to travel the path of Martin Luther King Jr. in a bid to raise awareness of peoples rights here in Ireland. 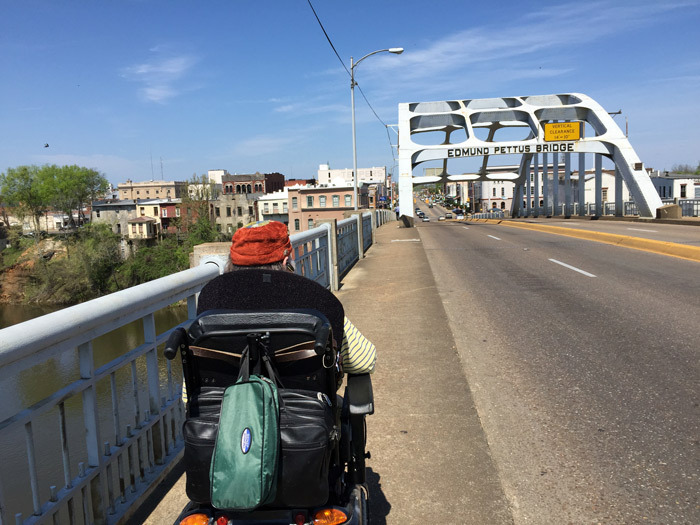 It has been 50 years since the famous Selma to Montgomery march, led by Martin Luther King and 25 years since the Americans with Disabilities Act (ADA) was passed. 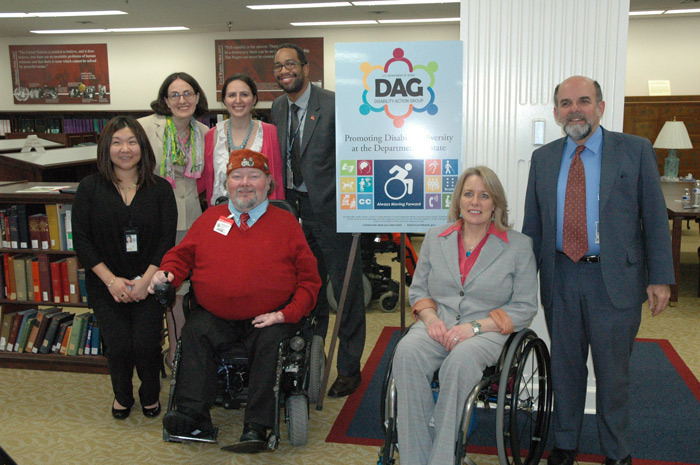 2015 marks the anniversaries of two seminal events in civil rights and disability history which have shaped the way we all live today. This year has focused world attention on the 50th anniversary of the historic Selma to Montgomery march, led by Martin Luther King, which united the civil rights movement in America by securing, at last, voting rights for the country’s African-American citizens. 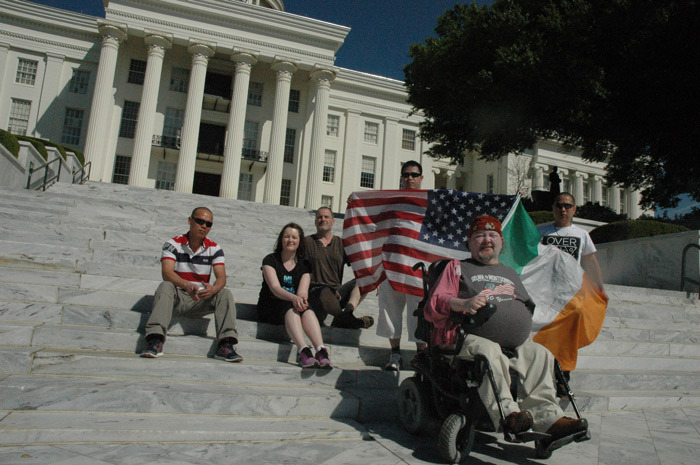 It also celebrates 25 years since the passing of the influential Americans with Disabilities Act (ADA), ultimately brought about when disability activists took action in an event known as the Capitol Crawl to demand recognition of their equal rights. For us here in Áiseanna Tacaíochta (ÁT), we wanted to not only pay respect to the courage and sacrifices of the people who inspired the progression of the rights that we hold dear and continue to fight for today, but to learn from them and to strengthen the bonds which loop between the rights movements here in Ireland and in the United States (US). So, in late March, we left for American shores in our ‘Two Hearts Beat as One’ endeavour. Although we were a small team – made up of our co-founder and Director, Martin Naughton, and his team of Personal Assistants (PAs), our Project Development Coordinator, Niall O’Baoill, and myself – we had big ambitions. In a month-long, symbolic journey designed to connect with the key leaders and locations associated with these remarkable moments in time, we set out to honour the initiative and resilience of those who stood up – and continue to stand up – for full equality and human rights. Arriving in New York, we travelled down to Washington DC and on to Atlanta, Georgia, a landmark city in civil rights history. There, we visited the Martin Luther King Center, met with disability activist and ADA campaigner Mark Johnson, and engaged with the National Center for Civil and Human Rights. Moving on to Selma, Alabama, we commemorated the pivotal march to Montgomery by undertaking the full, 50-mile length of the walk ourselves over four days; with plenty of visits from disbelieving State Troopers and double-takes from locals who marvelled at the sight of our unusual group walking along the edge of a highway in thirty degree heat, it was quite the experience! Arriving at the State Capitol building on April 4th, the anniversary of Martin Luther King’s death, marked a powerful moment for us all. 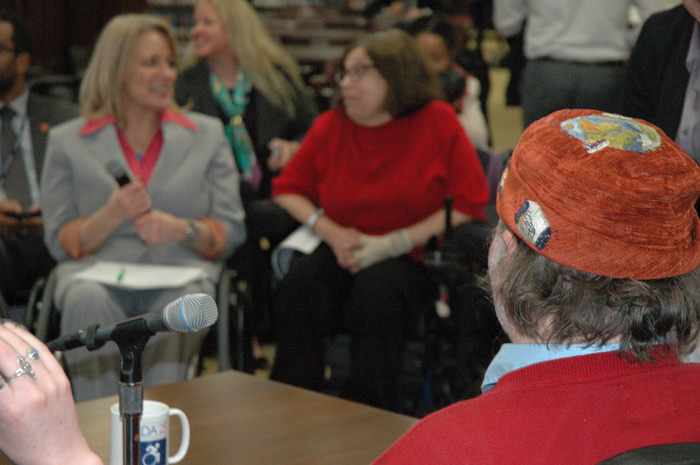 The next week brought us on, then, to Washington DC, where we met with the influential disability activist – and current Special Advisor on International Disability Rights to the US Government – Judith Heumann, and delivered a presentation on Independent Living and the impact of the ADA in Europe to the State Department. Making a stop in Philadelphia to meet with the Irish-American Congressman Brendan Boyle, we wound our way back to New York to gather with some truly innovative disability campaigners, before heading to our final destination of Boston, where we met with the Mayor, Marty Walsh. So, why this journey at that time? 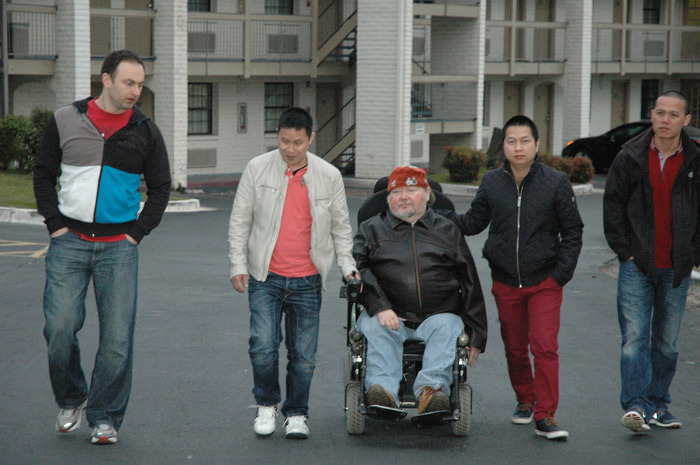 Well, America holds a special importance for us, as it was there that our co-founder Martin, who had lived in institutions for people with disabilities up to that point, first experienced Independent Living while on a visit in the 1980s. He brought the concept back here to Ireland, establishing the first Center for Independent Living (CIL) in the country in 1992, and continued on to eventually set up ÁT, the first organisation in Ireland to give complete control of individual budgets to people with disabilities and their families. In their own ways, these marked vital milestones for the disability community in Ireland, ones which were guided and motivated by our Stateside peers; it was for this that we recognised the crucial opportunity to cement the relationships we have with them in this commemorative year. But, more than that, we wanted to raise awareness and support for a new, emerging movement for people with disabilities here in Ireland. We shared our message and everything we encountered across social media as we travelled, calling on society to come together again and support a renewed cry for equal rights for disability communities everywhere as our journey went on. That, in turn, led to us echoing and commending the values and experiences we came across in America in our A Declaration of Independence: The First Assembly event in Athlone in June. Having looked to and met with those who generated their moments in time in America, we created our own, bringing hundreds of people with all types of disabilities and their communities together for the first time. At the end of the day, it’s up to us to shape our own future. Some of us may come from different backgrounds, live with different disabilities or come across different hurdles in our lives, but, at the core, we are all the same: we are all people whose rights are not being either recognised or realised, and we are the ones who, together, can turn that around. Those values grounded our journey to America, and will ground everything we do and seek to achieve each day. Communities, when they come together, can spark a flame of change that genuinely brightens the future for us all. By honouring those communities which did just that, we hope our journey throws light on their achievements, and ignites a united and rejuvenated determination to make equality, inclusion and independence the reality for every person with a disability in Ireland. Orlaith Grehan is Communications Officer with Áiseanna Tacaíochta (ÁT). Áiseanna Tacaíochta is the first organisation in Ireland to offer Direct Payments to people with disabilities and their families, enabling them to take control of their own budgets, their own services and, ultimately, their own lives. For more information, please visit www.theatnetwork.com or call 01 525 0707. More information and photos about the ‘Two Hearts Beat as One’ journey to America is available here.